S7 Airlines opened 900 destinations to its customers when it became a member of the Oneworld® global aviation alliance. 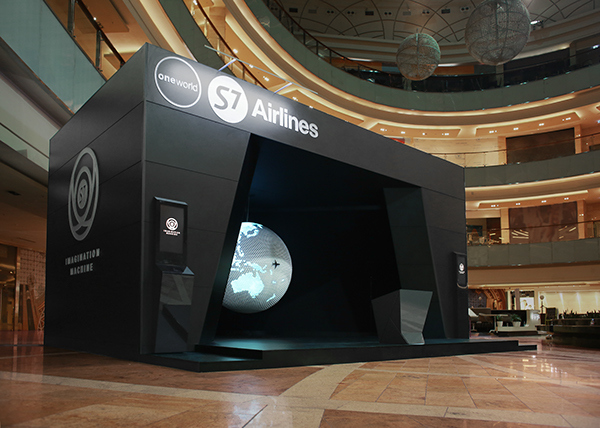 To celebrate this milestone, in March 2015, S7 launched the ‘Fly to any place you can imagine’ promotional campaign with the goal of inspiring Russians to travel internationally. 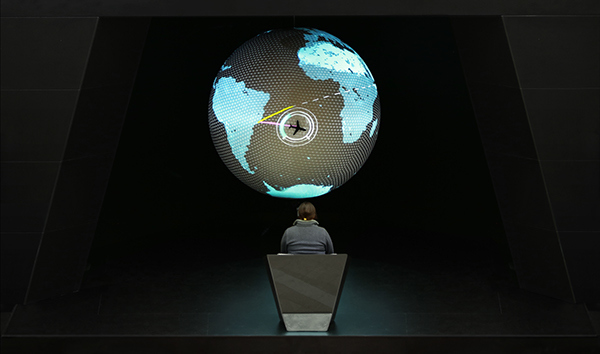 Tellart partnered with Wieden+Kennedy Amsterdam to create a unique and memorable interactive installation that would capture the imagination of would-be travelers. Set in a busy Moscow Mall, the Imagination Machine invited people to fly to the destination of their dreams using only the power of their mind. 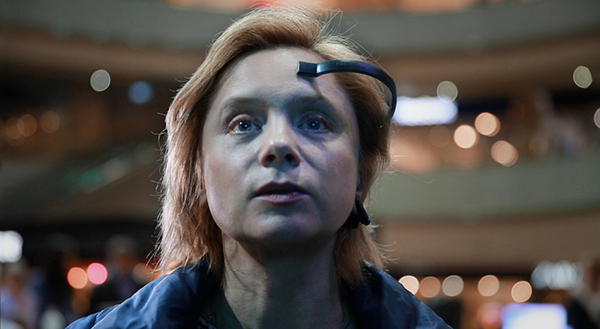 If participants were able to steer a mind-controlled plane to their destination of choice, then S7 Airlines would actually fly them there. Everyone present could watch their progress by following a physical model plane’s movement across a 2-meter projection-mapped globe. The Imagination Machine drew large crowds of observers and participants. Some wanted a vacation, others to visit long-lost friends. Reactions of the winners varied from tears of joy to disbelief; it was truly a life-changing moment for some of the participants to use their minds to win something that may have been otherwise entirely unobtainable. Over 250 people took part throughout the day, with 50 participants winning a round trip ticket to their dream destination. The impact of this installation went far beyond the live event: the experience was documented in a film that received over 2 million views and over 82 million earned media impressions within the first week of its release. 4,500 people signed up for the loyalty program on the day of the event, and S7 received a 20% increase in online bookings in the period of the campaign. The installation generated curiosity and interest by passersby, who learned the game’s concept while in line for the chance to play. How far can you take a dream? 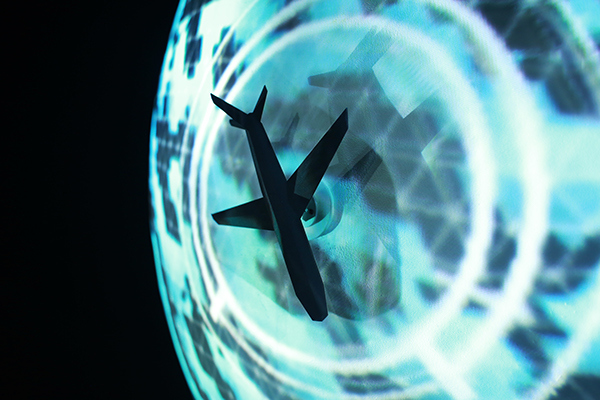 Tellart collaborated with Wieden+Kennedy Amsterdam to find out – creating the Imagination Machine for S7 Airlines. 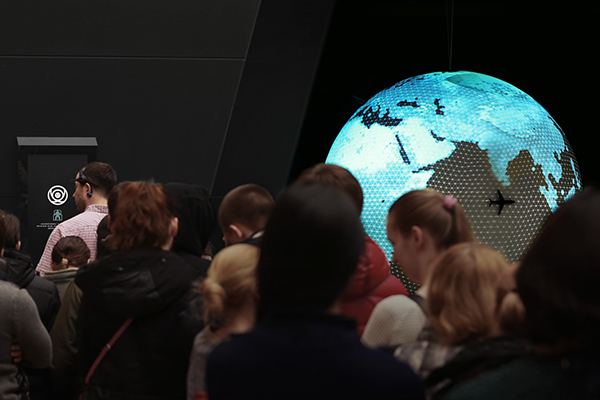 At a busy Moscow mall, travellers were asked to sit in front of the globe and to choose their dream destination – then control their plane’s flight using only the power of the mind. The prize for touching down with a cool head? A plane ticket to that dream destination.